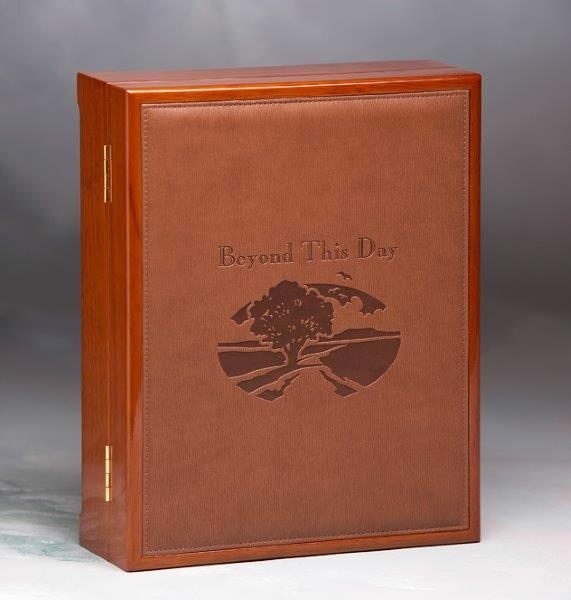 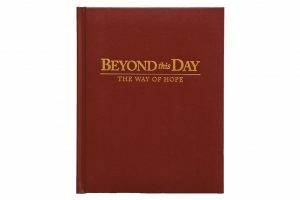 The Legacy case is manufactured with a beautiful honey-colored hardwood, polished to a high-gloss finish, with a leatherette panel on the front featuring burnished Beyond This Day wording. 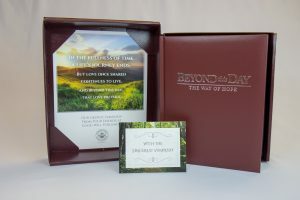 The interior is fully-lined with a rich burgundy felt. 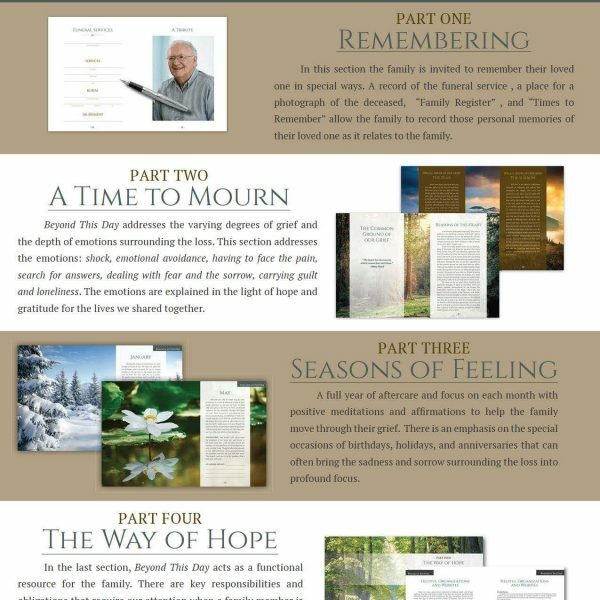 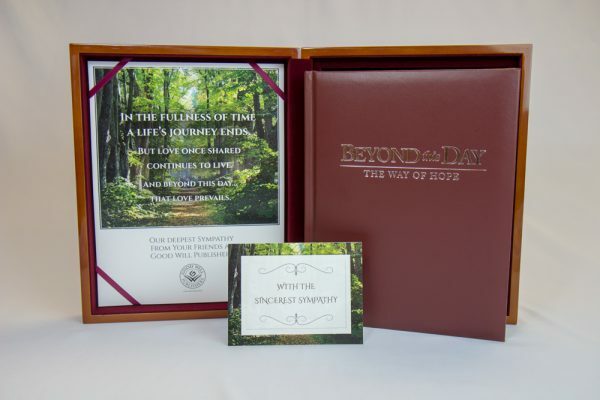 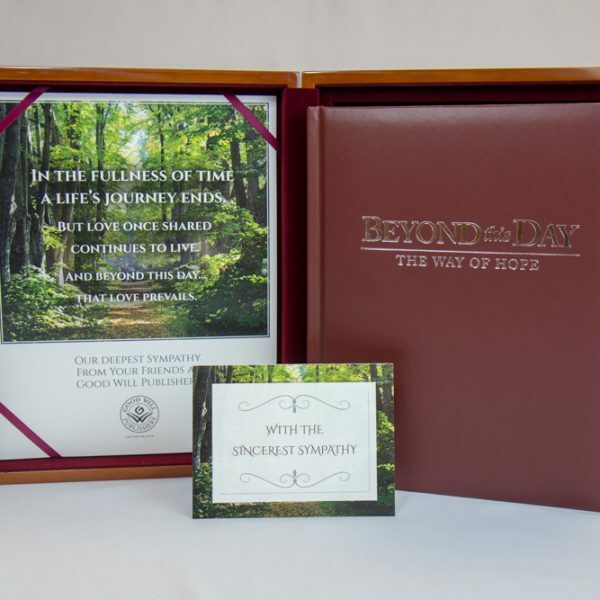 When opened, an insert on the left, held in place by burgundy ribbons, features your personalized inscription recognizing you as having provided this keepsake gift for the family. 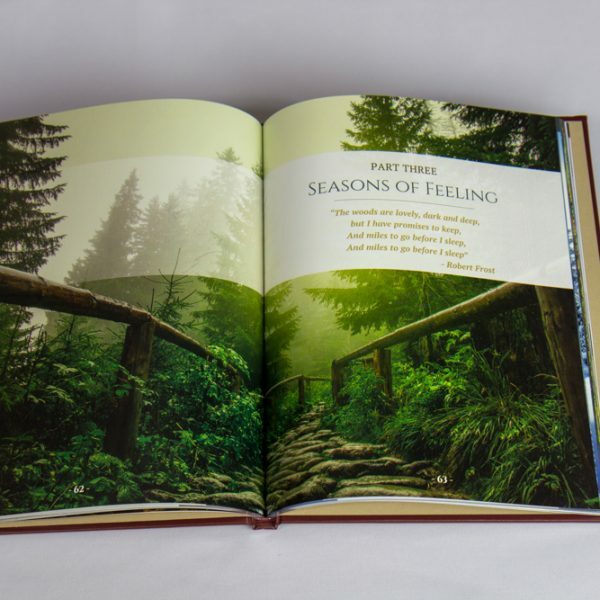 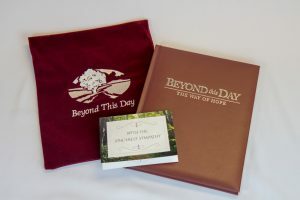 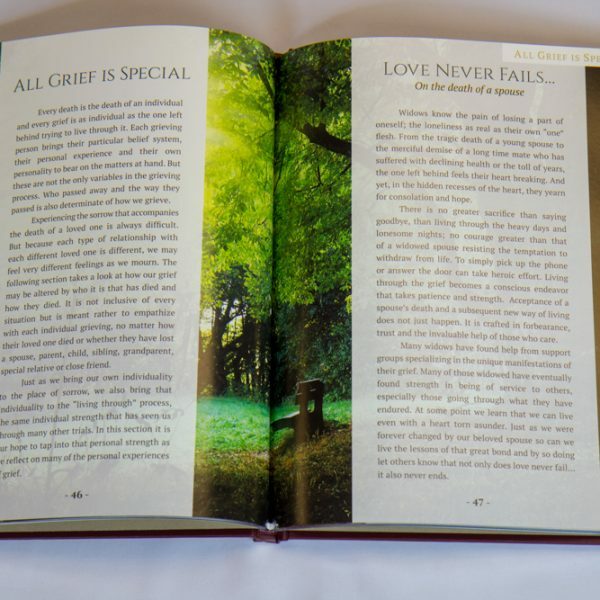 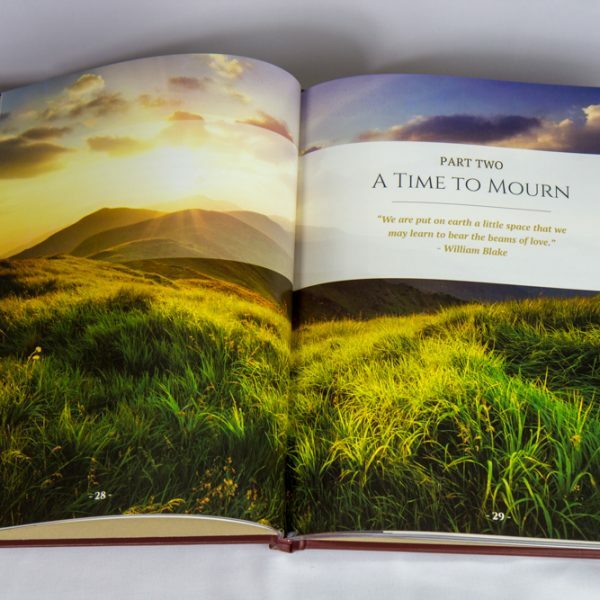 On the right, underneath the book, is a keepsake compartment where the family can keep photographs, sympathy cards, and other personal mementos. The back is covered with a black felt to protect tabletops, shelves, and other surfaces where families will display Beyond This Day in their home.